Bhubaneswar: Odisha Chief Minister Naveen Patnaik proposed daily flights from Bhubaneswar to Kuala Lumpur to Tourism Malaysia & AirAsia delegation. CM Naveen Patnaik and Tourism Malaysia & AirAsia delegation spoke about utilising the air connectivity to further tourism and cultural ties between our historically bound regions. 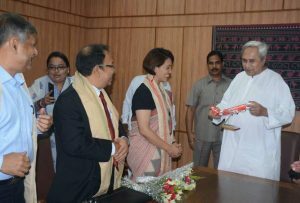 Air Asia accepted CM Naveen Patnaik’s proposal for daily flights to Kuala Lumpur and expressed readiness to take steps in the connection. CM Patnaik assured all required support from our end in this regard. 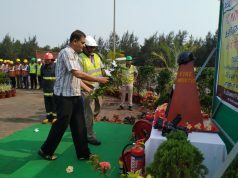 The international flight has been marked by tremendous enthusiasm among visitors from both Odisha and Malaysia. Tourists from Thailand, Indonesia, Japan, Australia and New Zealand are also interested to visit Odisha. CM Patnaik also congratulated the delegation on the occasion and expected further expansion of international flights and transforming Biju Patnaik Airport into a thriving gateway to the East.